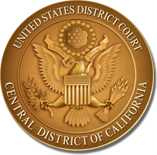 The Rules for Judicial-Conduct and Judicial-Disability Proceedings adopted by the Judicial Conference of the United States on March 11, 2008, have been adopted by the Ninth Circuit as the Rules for Judicial Conduct and Judicial Disability Proceedings. The Ninth Circuit Judicial Council has also adopted several local rules for misconduct proceedings. All of these rules, the misconduct complaint form, and additional guidance about filing a misconduct complaint are available at www.ca9.uscourts.gov/misconduct/.